Topical steroids are often prescribed to treat severe eczema but research has shown that prolonged use may lead to addiction and even worse eczema. I spoke to 25-year-old blogger Amy-Lou James who had been using steroids to treat her eczema continuously for 25 years until she began the Topical Steroid Withdrawal (TSW) process in May 2014. 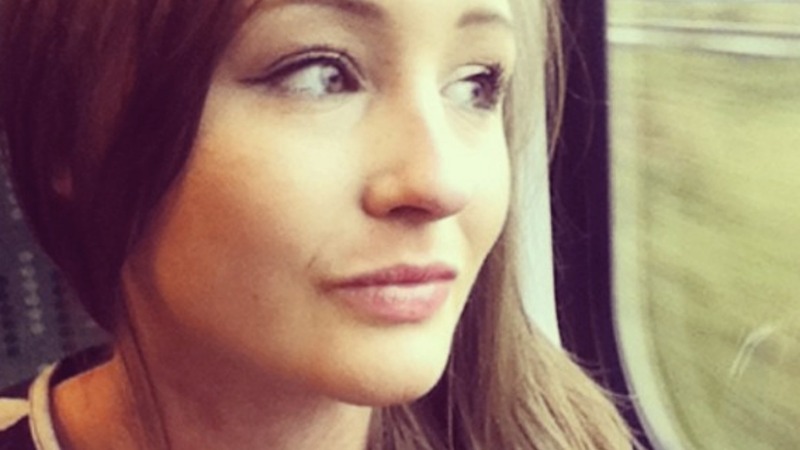 It was a social media comment that lead to Amy-Lou’s decision to stop using topical steroids. “I’d started to speak out about my eczema on Instagram in an attempt to raise awareness of the physical and emotional effects of living with severe eczema,” she explained. Having been unable to get to her doctor to collect her steroids for around three months, her skin had really flared up. When she was finally able to pick up all her topical steroids, he posted a picture of them on Instagram, prompting a fellow eczema sufferer to recommend the video ‘The Dangers of Topical Steriods’ on the ITSAN website. “Once I’d seen the video I knew I had steroid induced eczema,” said Amy-Lou. She consulted her doctor, and was advised to stop using steroids altogether to rid her skin of its steroid addiction. The topical steroid withdrawal process can be unbelievably difficult. “Months one to four were the worst I’d say: I ached a lot, I hurt a lot and I cried a lot,” said Amy-Lou, describing her swollen face and limbs, the constant bleeding and flaking of her skin, and the unpleasant-smelling “weeping ooze” all over her body. Check out pictures of Amy-Lou’s TSW journey. A year into her TSW journey, Amy-Lou admits that she still has visible eczema, but reveals that it’s “absolutely nothing like it was at the start of the withdrawal process.” She still itches, but says it’s an itch she can handle. Her body is no longer swollen, and it’s practically impossible to detect the eczema on her legs and stomach. Like most people with debilitating skin conditions, Amy-Lou has tried a wide range of natural remedies, with varying results. She keeps dairy to a minimum, tries to avoid sweet sugary treats, and takes a range of supplements, including iron and Vitamin C tablets, olive leaf extract and maca root. Weather extremes and stress can also trigger a flare-up. “The worst thing you can do during a flare-up is get stressed, which is easier said than done,” Amy-Lou said. Skin diseases such as eczema are the most common reason we go to the GP according to figures from the British Skin Foundation. Eczema is estimated to affect up to 20 percent of school children and up to 10 percent of adults. The condition is characterised by dry, itchy, red skin, caused by a lack of fat between the skin cells. Water is lost from the skin cells, causing them to shrink, which results in cracks opening up between them. Substances that can trigger an allergic reaction, known as allergens, can get into the cracks and cause inflammation. For more information about Topical Steroid Withdrawal, visit the ITSAN (International Topical Steroid Awareness Network) website. You can follow Amy-Lou’s ongoing journey on her blog.